Advertising online is best when accomplished through a Digital Agency. The Internet is filled with digital media. It is how search engines and social media can provide information and images about products and businesses. Creating digital media marketing campaigns is easier when using the talents of the best Digital Agency Sydney has to offer. This is what you will find through Smart SEO. When you are using Smart SEO as your Digital Agency, you will get the benefits of a dedicated team of SEO analysts, link builders, web designers and SEO copywriters. We put our expertise to work for you so you will get the results you are looking for. Top page results are possible when using the talents of our dedicated and talented team. We utilise the best techniques to assure your digital marketing campaign is getting the results you are looking for. Our SEO analysts use your business objectives to create the strategy to get the best results. 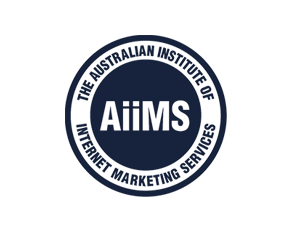 Make the most of your digital marketing campaign today by making Smart SEO your Digital Agency in Australia. We will provide you with a free quote for creating your campaign. Let our proven techniques get you the attention you are looking for. Contact us today so we can customise your marketing campaign. We look forward to taking your business to the next level when you call 1300 641 849 or by emailing info@smartseo.com.au.